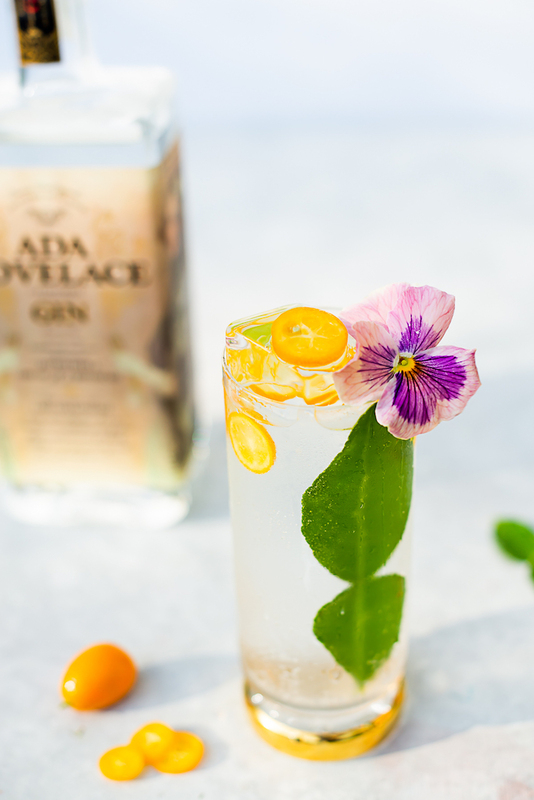 I have always been in love with Spanish Gin & Tonics! 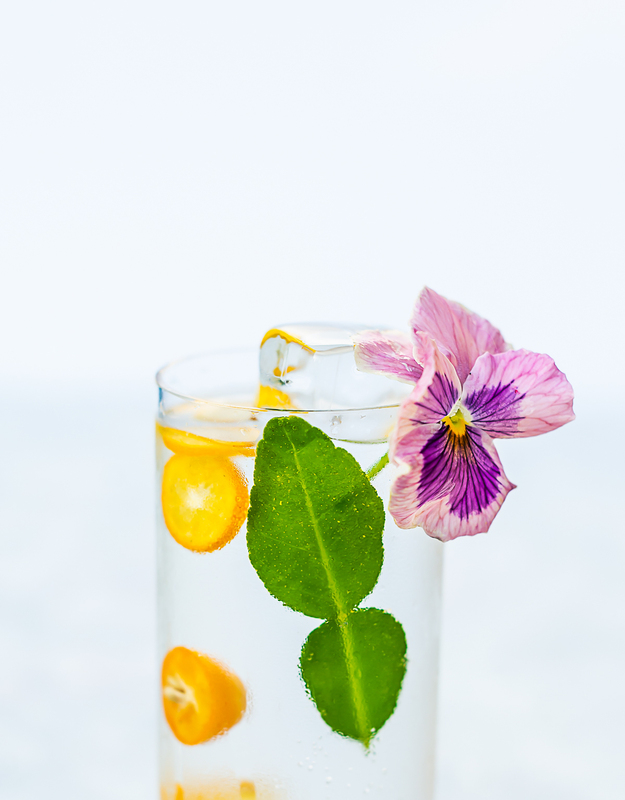 You can add an array of vibrant ingredients into your glass that add a subtle flavor that infuses as your drink. Plus, they just look absolutely beautiful! 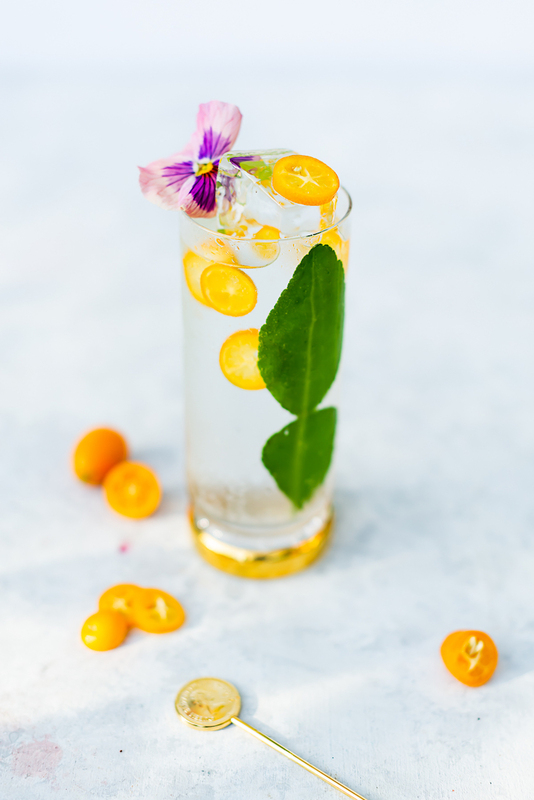 This particular one, the Kumquat Makrut Lime Spanish Gin & Tonic, comes out of my pure love for all of these ingredients aingnd want them all in one glass! 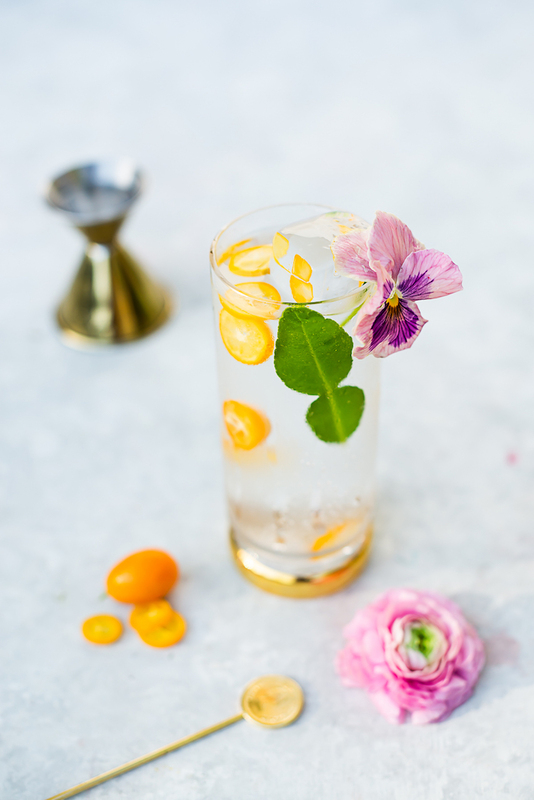 Tart kumquats, fragrant Makrut lime leaves & touch of the beautiful bitter along with the floral, citrusy Italicus aperitivo. 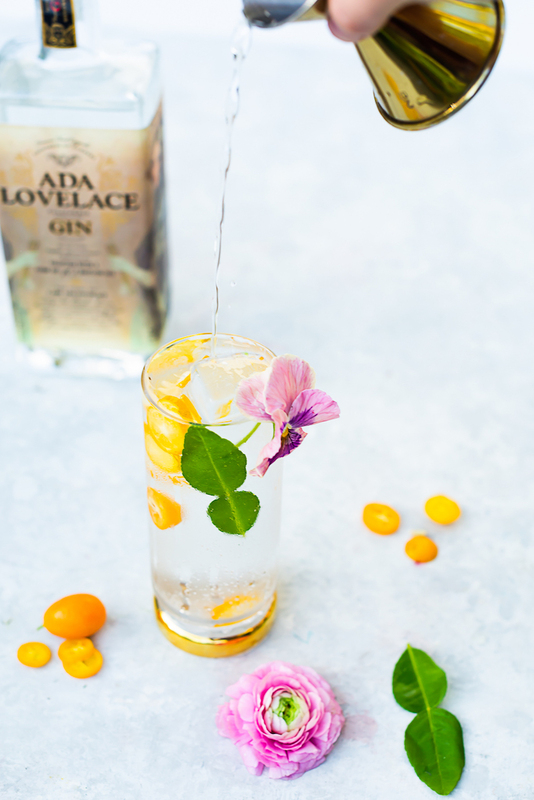 For the gin, I used the new Ada Lovelace Gin. 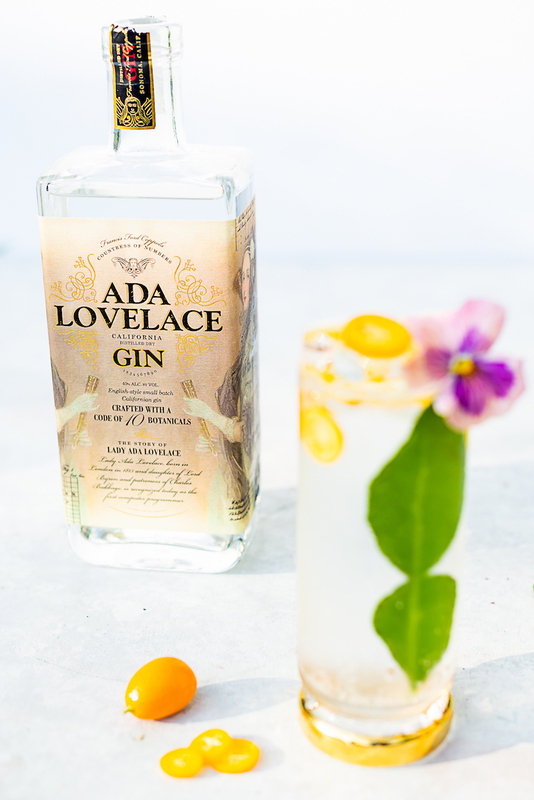 It is distilled by the Coppala Family (part of their Great Women Spirits line The meyer lemon & rose it is distilled with imparts the perfrr4ect flavor for a spring gin & tonic. 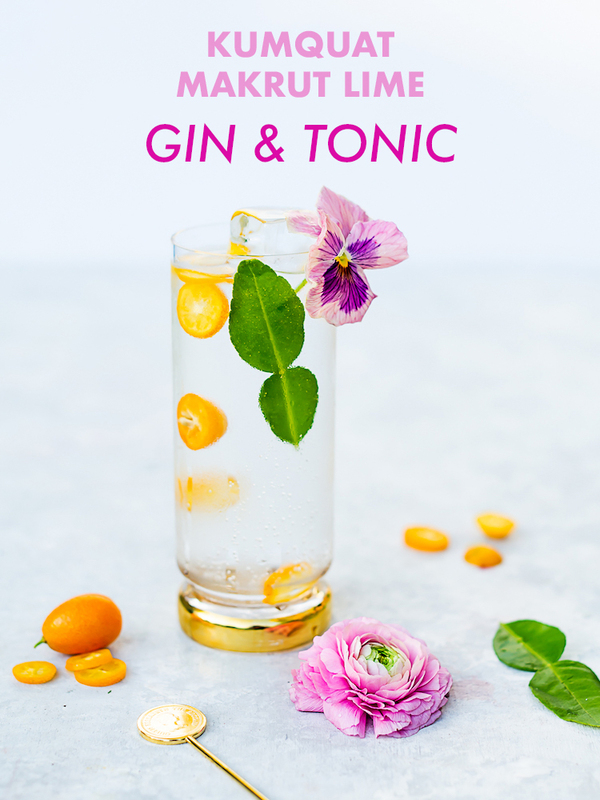 If you love a good Spanish Gin & Tonic like I do, be sure to check out my other recipes to spice up your next G&T. 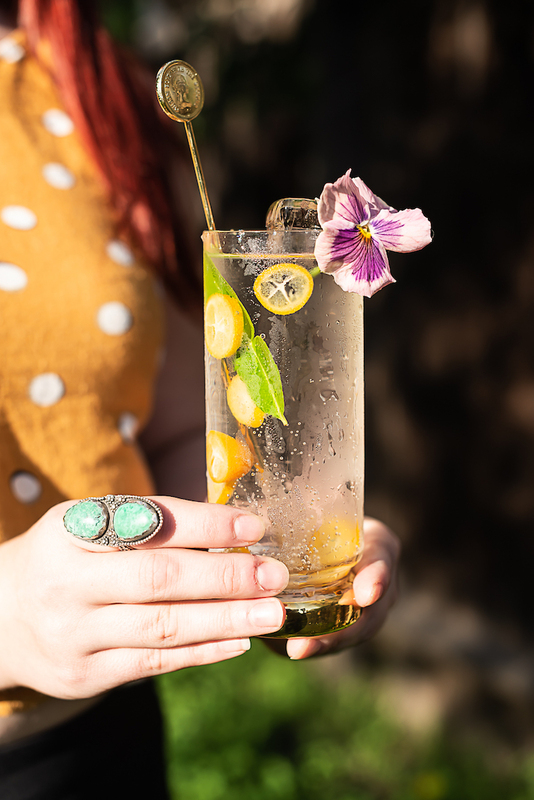 Pre-chill your glass. 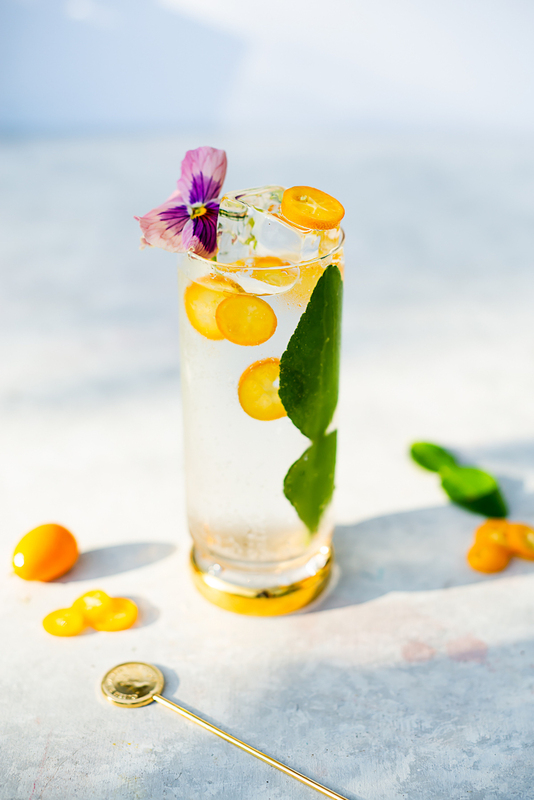 Once chilled, add the kumquats and makrut leaf to the glass. Add the gin & Italicus, stir well and let infuse for 30 seconds to 1 minute. Add ice to the glass. Add the tonic water to the glass and stir. 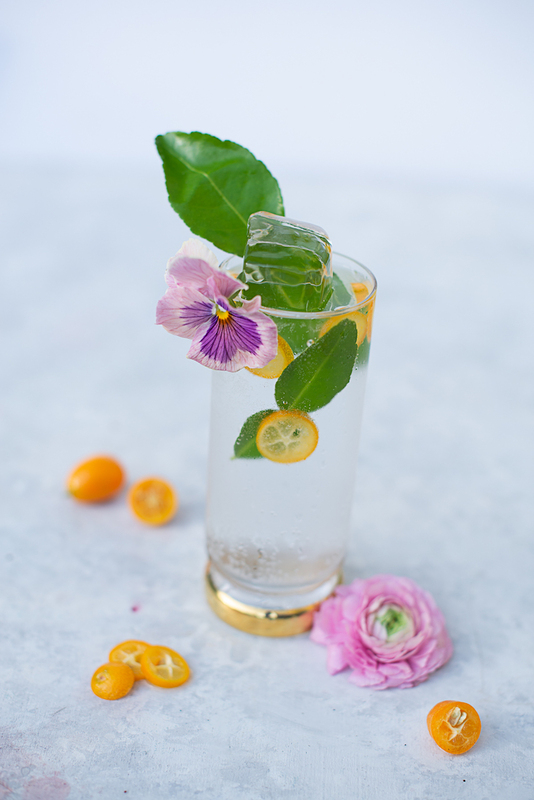 Garnish with edible flower.